Denbighshire Library Service is on the look-out for young volunteers to help with this year’s Summer Reading Challenge. Last year, 3,394 children got involved in the challenge and the service is looking to repeat last year’s success by involving volunteers. The theme for this year is Mischief Makers. Young people aged between 14 and 24 are invited to sign up as volunteers and will benefit from valuable work experience, the opportunity to develop confidence and social skills, as well as making a positive contribution to the local community. 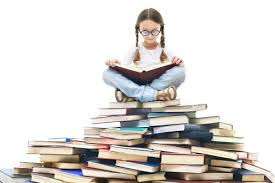 Volunteers will sign up children to the challenge and help them find and choose books, help children and families to use the challenge website and to assist with events in the county’s libraries. The volunteers will need to commit to a minimum of three hours across four weeks. They will need good communication skills and preferably a willingness to engage with children and families in both Welsh and English, an interest in supporting and working with children, and in books and reading and a flexible, friendly approach to tasks undertaken, punctuality and reliability.